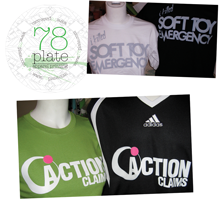 78Plate stuff - Check out our gear! 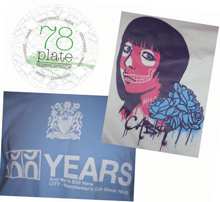 Whether you need 10 personalised tshirts for your mates stag-do, or 1,000 for a corporate event, 78 Plate can provide a fast competitive service tailored to your exact specifications. We also offer cost effective nationwide delivery on all orders. Ongoing production of casual garments for www.ohdclothing.co.uk. Monthly production of promotional items for Snozone Ltd, 3 indoor snow slopes based in Milton Keynes, Castleford and Braehead, Scotland. Hyde-Clarendon Performing Arts college, producing 'class-wear' for students promoting the college. Range of printed garments for StandingSideways Ltd, a UK snowboard company. Suppliers of blank fashion items to retailers, as well as work-wear items to local business. Promotional tshirts supplied for Austrian/UK Snowboard company, Hungerpain, on an annual basis to promote their films. 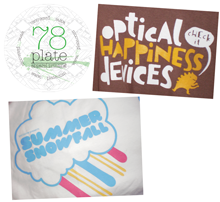 78Plate isn't just about t-shirts! We can also supply printed belts/caps, pin badges and other promotional items. Just give us a call on 0161 480 113 or contact us online.